Yorkshire-based Online PR and Social Media specialist agency, Prohibition, has won another major new client by adding the national formal menswear retailer, Suit Direct to its ever-expanding portfolio. 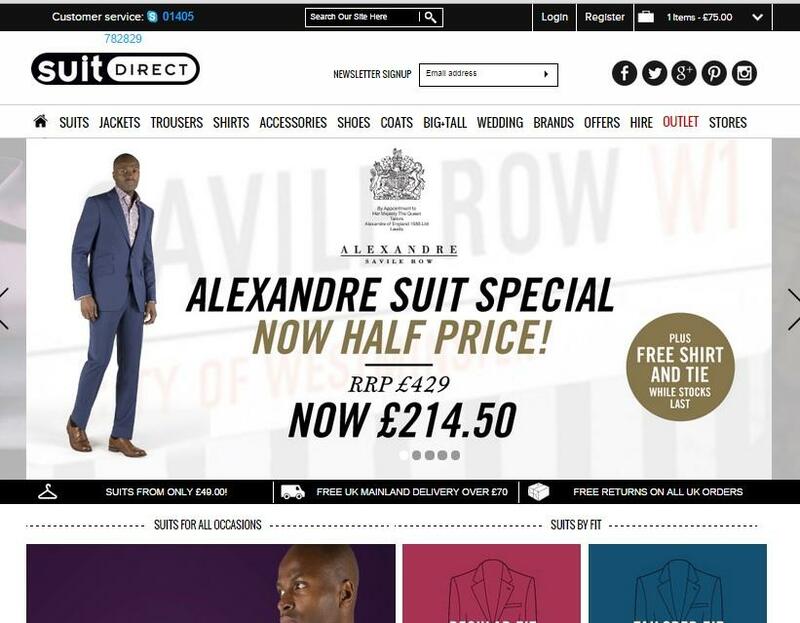 Suit Direct, a national formal fashion brand with more than 15 stores across the UK sells suits, shirts, jackets, belts, shoes and many other men’s accessories. The male fashion brand has hired the integrated PR agency to manage and grow its social media and digital presence, with the core aim of boosting online visibility and securing sales through social media. To date Prohibition has already surpassed all of its targets on Suit Direct set by the brand and has more than quadrupled its sales through a strategic social media engagement programme. Suit Direct is owned by The BMB Group which is one of the largest menswear companies in the country. The wholesaler offers a mix of formalwear and casualwear fashion brands including: Gibson London, Racing Green, The Label, Pierre Cardin, Scott and 1 Like No Other and many more. This latest announcement follows a number of exciting client wins for the agency including Country Baskets, Robinsons Relocation and national house builder Keepmoat Homes. 2014 was already Prohibition’s most successful to date as the agency has appointed a new company director, hired an additional two staff members and moved to much larger premises in Chapel Allerton.